Ritalin is widely prescribed for both children and adults who have ADHD, but it also has the potential for abuse — begging the question, "Is Ritalin addictive?" Unfortunately, the answer isn't a simple one. Here's why. Ritalin, also known as methylphenidate, is a stimulant drug that's commonly used to treat attention problems in both adults and children, many of whom have described the effects of the drug positively. It works predominantly by increasing a neurotransmitter called dopamine in the brain. Among other functions, dopamine is associated with pleasure, movement and attention. When taken in larger doses than prescribed, Ritalin produces euphoria, increasing the potential for addiction in some individuals. Adderall, an amphetamine, is also often prescribed for ADHD, and works similarly to Ritalin. Stimulant drugs are typically abused to enhance performance by speeding up mental processing and physical responses, to experience euphoria or to suppress appetite. They may appeal to people with eating disorders, food addiction or problems with obesity, because of the appetite-suppressant and energy-releasing effects. Teens report that it helps their academic performance and some parents are even condoning it. People who take drugs for these reasons may have emotional vulnerabilities that could potentially contribute to addiction. If taken according to the prescribed dosage, Ritalin is generally not considered to be addictive. 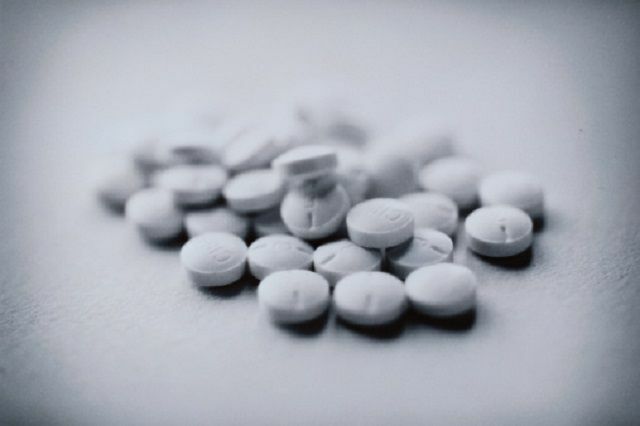 As there is no set dose of Ritalin, and the dosage usually starts low and is increased until ADHD symptoms are controlled, the prevalence of addiction to Ritalin is not known. A survey of 12th graders, however, indicated that more than 3 percent admitted taking Ritalin without a prescription in the past year. Ritalin can be a gateway drug for some people, who go on to take other drugs. Taking Ritalin can also create early experiences of drug dealing for some students. And if the drug is taken in higher doses, or through routes that intensify the effects — such as snorting the drug through the nose or injecting it — the risk of addiction increases. Some critics of the medication's approach to treating ADHD have argued that the risks of side effects are unacceptable, and that prescriptions of Ritalin, Adderall and other drugs are inappropriate for children particularly in the widespread fashion in which they are prescribed in the USA — when the behavior being targeted may often simply reflect a lack of suitable outlets for childhood energy rather than pathology. Although medications are typically the first line of treatment offered to control the symptoms of ADHD, Ritalin and other drugs are not the only effective treatment for ADHD. And different medical groups have somewhat varying recommendations: in the U.K, for example, the National Institute of Clinical Excellence (NICE) guidelines advise that only children with severe ADHD symptoms should be considered for medication as a first line of treatment. Stimulants can also be considered in less-severe cases for those who don't respond to psychotherapeutic approaches. Non-drug treatments for ADHD include a range of social, psychological and behavioral interventions. Most of these interventions involve working directly with the child, but some involve parents, guardians and teachers. Dietary interventions may also be helpful when particular foods aggravate hyperactivity. For example, neurotherapy has been shown in studies to be an effective, long-term, drug-free option for attentional disorders. Parents are often confused by the use of stimulants to calm down a child with ADHD. The exact mechanism of this is complex and not entirely known, but stimulants improve attention and functioning of the frontal cortex in the brain, allowing better regulation of behavior and impulsivity. Alhambra, M.A., Fowler, T.P., & Alhambra, A.A. "EEG biofeedback: A new treatment option for ADD/ADHD." Journal of Neurotherapy, 1:39-43. 1995. Baughman, Jr., M.D., F. & Hovey, C. The ADHD Fraud: How Psychiatry Makes “Patients” of Normal Children. Victoria, BC: Trafford Publishing. 2005. Fuchs, T., Birbaumer, N., Lutzenberger, W., Gruzelier, J., & Kaiser, J. "Neurofeedback treatment for attention-deficit / hyperactivity disorder in children: A comparison with methyphenidate." Applied Psychophysiology and Biofeedback, 28:1-12. 2003. Kaiser, D.A., & Othmer, S. "Effect of neurofeedback on variables of attention in a large multi-center trial." Journal of Neurotherapy, 4:5-15. 2000. Linden, M., Habib, T, & Radojevic, V. "A controlled study of the effects of EEG biofeedback on cognition and behavior of children with attention deficit disorder and learning disabilities." Biofeedback and Self Regulation, 21:35-49. 1996. Lubar, J., Swartwood, M., Swartwood, J. & O'Donnell, P. "Evaluation of the effectiveness of EEG neurofeedback training for ADHD in a clinical setting as measured by changes in T.O.V.A. scores, behavioral ratings, and WISC-R performance." Biofeedback and Self Regulation, 20:83-99. 1995. Monastra, V., Monastra, D. & George, S. "The effects of stimulant therapy, EEG biofeedback, and parenting style on the primary symptoms of attention-deficit/hyperactivity disorder." Applied Psychophysiology and Biofeedback, 27:231-249. 2002. National Institutes of Health. "NIDA InfoFacts: Stimulant ADHD Medications - Methylphenidate and Amphetamines." Retrieved 29 November 2009. National Institute for Health and Clinical Excellence (NICE). "Methylphenidate, atomoxetine and dexamfetamine for attention deficit hyperactivity disorder (ADHD) in children and adolescents." 2006. Rossiter, T. & La Vaque, T. "A comparison of EEG biofeedback and psychostimulants in treating attention deficit/hyperactivity disorders." Journal of Neurotherapy, 1:48-59. 1995. Swingle, P. Biofeedback for the Brain: How Neurotherapy Effectively Treats Depression, ADHD, Autism and More. New York: Rutgers University Press. 2008.